In our digital classrooms web pages remain popular projects for creative expression and content sharing. However, students and their peers are often faced with the same sense of immediacy for project development as any business. Proper HTML coding is unquestionably a valuable skill for any student to learn, but it does take time and practice. So what do they do when they need something quick and professional-looking in no time flat? These online website creator tools are in no particular order and are some of the best on the Web today. They are advertised mostly with business owners in mind, but work superbly as immersive classroom applications. With any one of these terrific tools your students can dive right in and begin designing and creating their own websites for free. All of these sites offer quality starter templates, easy drag-and-drop interfaces, and plenty of creative control for students. In addition to this, the HTML/CSS on any many of them is fully editable. That's great news for students working to refine their coding skills. Enjoy exploring these website creator tools you and your students can use to build amazing sites in minutes. Wix is probably one of the best free website creator tools out there, if not the most popular. They feature a wide range of ready-made templates for use, some of which are just stunning. Each template has a drag-and-drop interface that is very easy to navigate. Templates are fully customizable and there is plenty of creative control to be had here. In addition, Wix also has great options for social media tools, a learning center, 24/7 customer support, mobility options, and the Wix App Market for powering sites with even more interactivity. Users can even enter the Wix Designer Arena and get the help of an industry professional in designing their ideal website. Duda is all about personalization. It has built-n tool that can allow you to create personal one-on-one experiences for users. It also lets you build sites that are specifically for mobile. It's another decked out drag-and-drop website tool that's easy to use and gives great results. Weebly has over 100 different website themes to choose from here. Get fancy with widgets, social media and blogging tools, and much more. Weebly also lets you edit the HTML and CSS of any theme you choose. Learn all about Weebly's great features at their Help Center. SnapPages has really beautiful templates for general use, a start-up blog, and social media plug-ins for Facebook, Twitter, Google+, and Pinterest. In addition, they have a cloud-hosting feature courtesy of Rackspace. SnapPages is free for the first 14 days. Sometimes all you need is an online portfolio, and StudentShow is the tool to use. 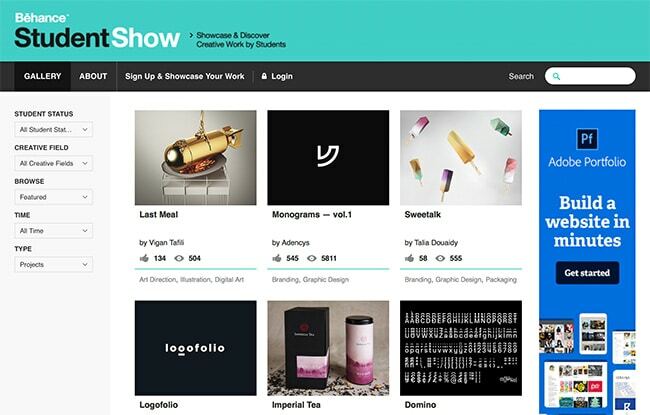 StudentShow by Behance is an online community for students to upload their work and get real-time feedback. It's a great way to build a personal network and get hired. 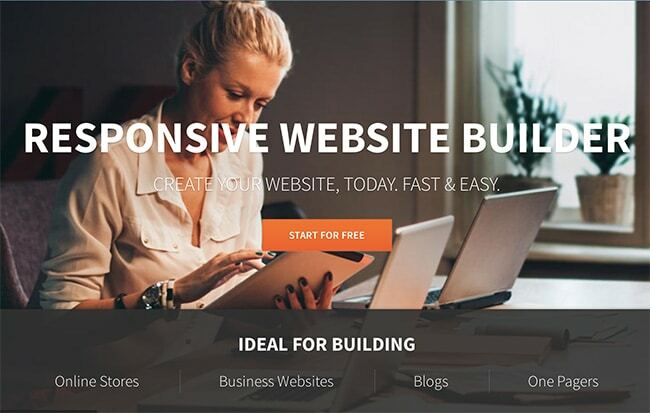 IM Creator, like most of these website creator tools, is built to be responsive. So many people today navigate sites on mobile devices while they are on the go. IM Creator offers beautiful templates that work with as few or as many pages as you want. Get unlimited hosting and bandwidth as well. Yola websites are clean, beautiful, and ad-free. As with some of the other tools, you can create and customize an online store, and make use of drag-and-drop widgets for full interactivity. You can also keep a close eye on your site stats with their featured website reports. Sitey is perfect for class projects. A free plan gets you 50MB of storage, 5MB worth of file uploads, and 1GB of bandwidth. Hundreds of Google-ready templates are waiting to be used.